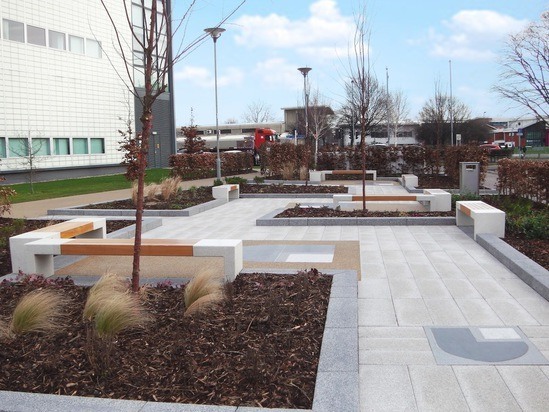 The Facilities Management team at Loughborough University approached Artform to assist on external building works as part of their ongoing campus master plan. 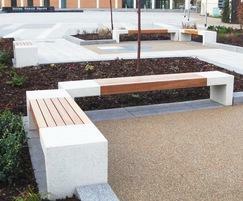 After sharing initial ideas, Artform was subsequently invited to work alongside the designated Landscape Architects, BCA Landscape of Liverpool responsible for the overall design of a large open space at the heart of the campus. 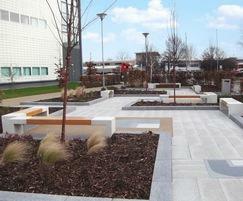 The scheme consisted of two distinct areas; an open plaza plus a more formal, secluded seating garden. 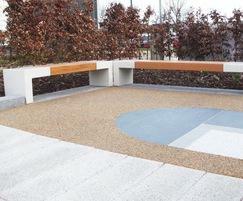 The landscape architect was looking for a simple yet considered design made from quality materials. 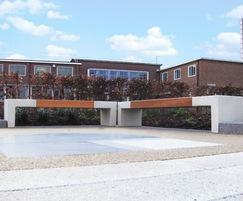 In addition to providing an aesthetic appeal that complimented the aspirational nature of campus life, it was also important that the products chosen were tough and durable. 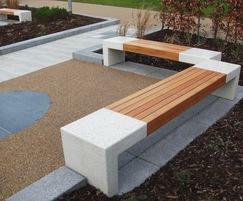 After a relatively short process of discussions, the final products and layout were selected, with similarities echoed between the two different bench designs used in the separate seating areas. 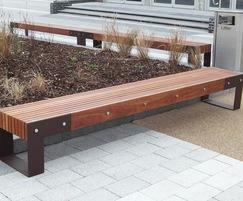 The overall weight of the Giada Benches was an additional feature that influenced product choice, as it would help to deter any unwanted movement once installed. 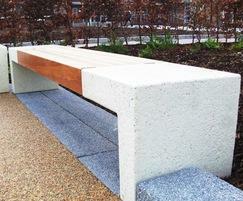 Finally Salgueiro Granite Blocks were chosen for their simplicity, value and functionality. 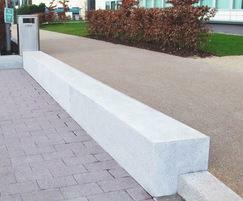 This flexibility of use was aptly demonstrated by their application on site, acting both as a plinth for the Campus signage and also as a part retaining wall.